If you love gin and travelling the world then this online club has the perfect job for you. ILoveGin.com is a West London-based online Gin and Tonic club that hires a ‘gintern’ to test gins from around the world. 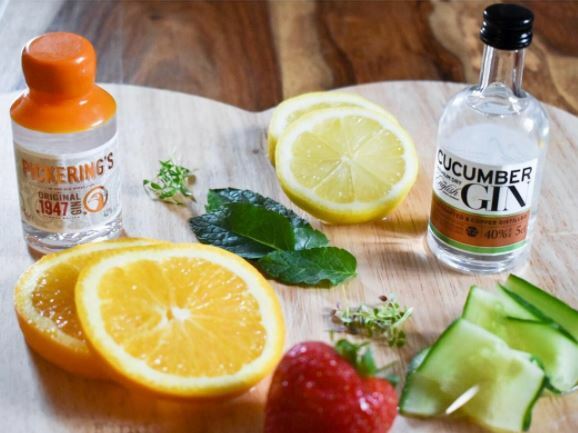 The part-time position, which pays £20,000, requires the ‘gintern’ to travel around the UK and Europe visiting one or two gin companies every single week to test their products. Jodhi Dinsdale, who had previously worked in education for seven years after training to become a teacher, beat more than 5,000 people to the job which she saw advertised on Facebook. After one or two gins, I applied. It looked like a perfect fit for me and my new hobby. Jodhi was chosen after an intense process which asked applicants to publish a gin review on social media, film a video explaining why they would be great for the role and create a ‘signature serve’ with the popular Portobello Road Gin. Whipping up a Breakfast Martini using a homemade grapefruit curd, Jodhi was crowned the winner. I was literally shaking from head to toe. It was the best thing ever. Although Jodhi describes her job as ‘the best one in the world’, she was nervous about her career move at first. A lot of people questioned why I would leave a ‘secure’ job working in education to go and work part-time as a ‘gintern’. It does sound like the dream job. They can expect my application the next time it opens up.